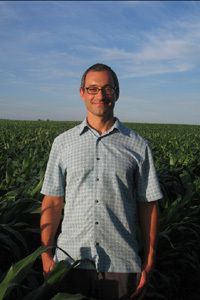 I teach plant biology, supervise research in the lab, and drink lots of coffee. 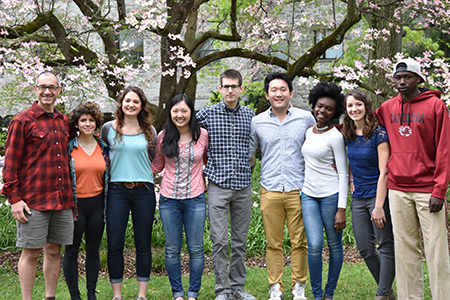 The lab in the Spring of 2016. The lab in the spring of 2015. The lab in the fall of 2014. 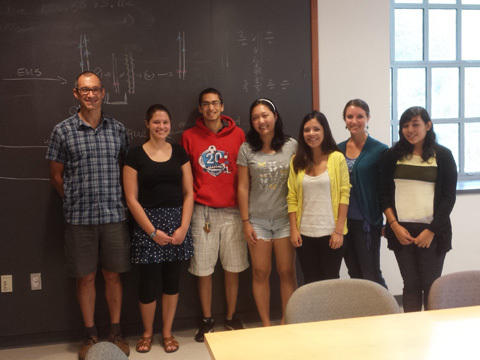 The lab in the summer of 2014. - Akida is determining how the heat shock response mutant eg6affects thermotolerance and is building new fluorescent reporter constructs. - Erin is characterizing and cloning a mutant which affects the kinetics of the heat shock response. - Christina clones genes, does more genetics than Mendel, and manages the lab. 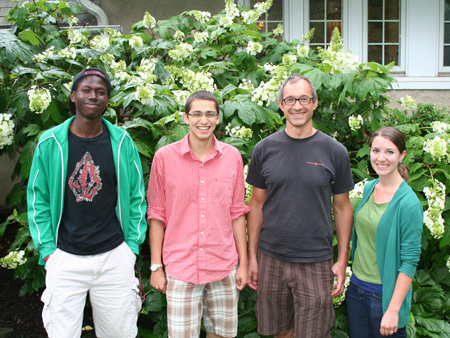 Students in the lab 2012-2013. Erin Kast '15 (left) and Duyen Nguyen '13 (right). 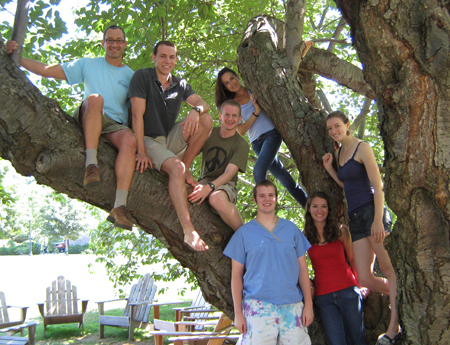 The lab in the summer of 2011. - Elan has cloned a BOB1 modifier called BOM and is using it to gain insights into how a small heat shock protein affects developmental patterning. - Zack is cloning a seed coat mutant using the next generation sequencing data set that Elan and Christina generated. - Meliss a is cloning a second BOB1 modifier and is also characterizing BOM and its interactions with BOB1. - Rosalie is working on understanding the cell biology and signal transduction of high temperature responses. 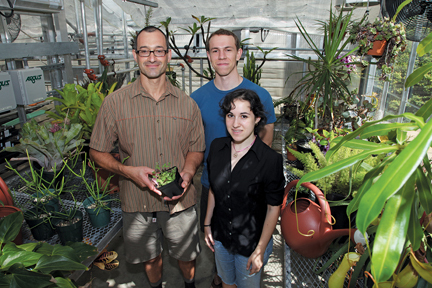 - Ray is characterizing temperature dependent changes in auxin distribution. - Christina works on many projects, helps everyone, and keeps the lab running smoothly. The lab in the summer of 2010. Elan Silverblatt-Buser '12 and Julia Cooper '12. 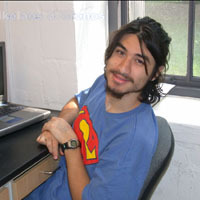 Elan worked on mapping the BOB1 modifier BOM and Julia used immunoprecipitation followed by mass spectrometry to identify proteins which physically interact with BOB1 in plant cells. The lab in the spring of 2010. 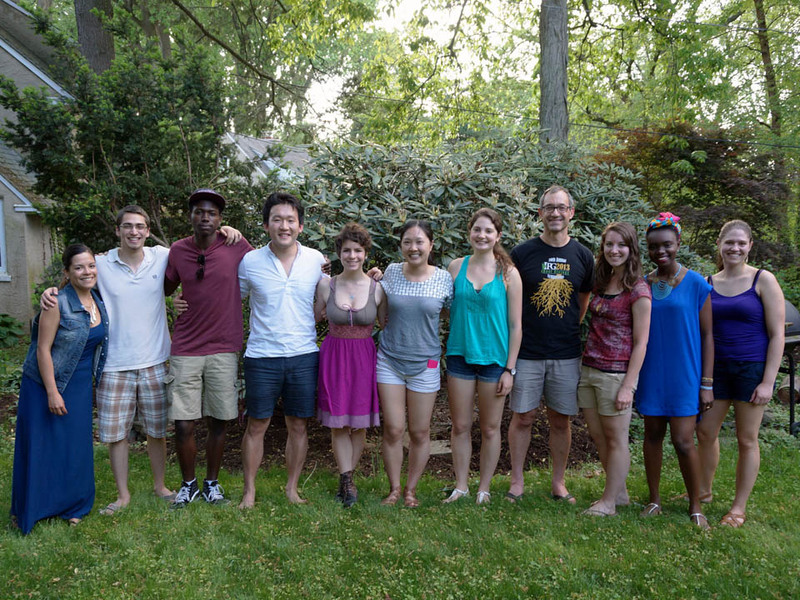 From left to right: Elan Silverblatt-Buser '12, Bernie Koch '12, Andrew Hwang '10, Nick, Cathy Ng '10, and Jennifer Spindel '10. - Elan is mapping and cloning BOB1 modifiers to gain insights into how a small heat shock protein affects developmental patterning. - Bernie is developing bioinformatics tools to use next generation sequencing data to identify fast neutron deletions in a pooled population. 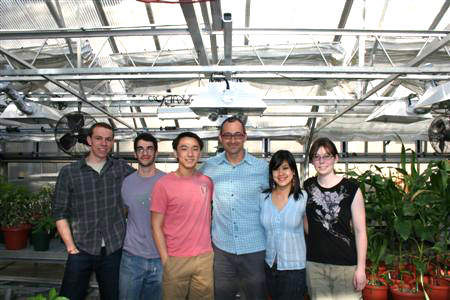 - Andrew is characterizing the cellular responses to sodium in Arabidopsis roots. - Cathy continues to characterize the molecular and organismal functions of AtHSBP1 which regulates abiotic stress responses. - Jennifer is mapping, cloning, and characterizing the semi-dominant Barren-unbranched mutant in maize. The lab in the spring of 2008. 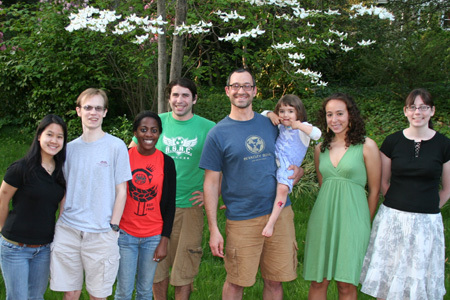 From left to right: Cathy Ng '10, Steen Hoyer '09, Ayanna Johnson '09, Evan Trager '08, Nick and Eden '28ish, Dahlia Perez '08, and Jennifer Spindel '10. - Cathy works on the cell and organismal roles of AtHSBP1 which we hypothesize regulates multiple abiotic stress responses. - Steen and Ayanna are using molecular and biochemichal approaches to demonstrate BOB's function in vitro. 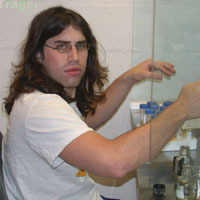 - Evan works on cell wall biosynthesis using molecular genetics and cell biology. - Jennifer is recovering from a genetic screen and deciding what to do next. 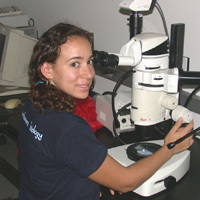 People in the lab during the summer, 2007. 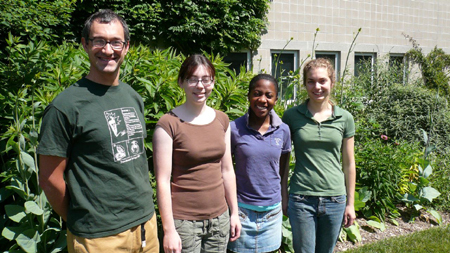 From left to right: Nick, Jennifer Spindel '10, Ayanna Johnson '09, and Frances Taschuk '10. Dahlia worked on characterizing BOB transcriptional responses to heat stress and also characterized auxin response defects in bob mutants. Evan studied a new mutant called sawfish (sfs) which affects phyllotaxis in the infloresence. He used a GFP fusion to determine SFS's sub-cellular localization and also performed a detailed phenotypic analysis which suggests that SFS mediates auxin responses during development. Nikos is using biochemical approaches to identify BOB protein interactors. After purifying interacting proteins he will identify them using mass spectrometry and then characterize the interacting genes by using reverse genetics to knock them out. Zach looked at the genetic interactions between bob mutants and other mutants known to disrupt auxin transport and signalling. He also used a BOB::BOB:GFP line to characterize changes in BOB sub-cellular localization in response to heat shock using confocal microscopy. Contact: Nick Kaplinsky. Design by Andreas Viklund.